Captain Jack Sparrow Pirates Cutlass Sword | BUDK.com - Knives & Swords At The Lowest Prices! Defend your treasure ship with this authentic pirate&apos;s cutlass. 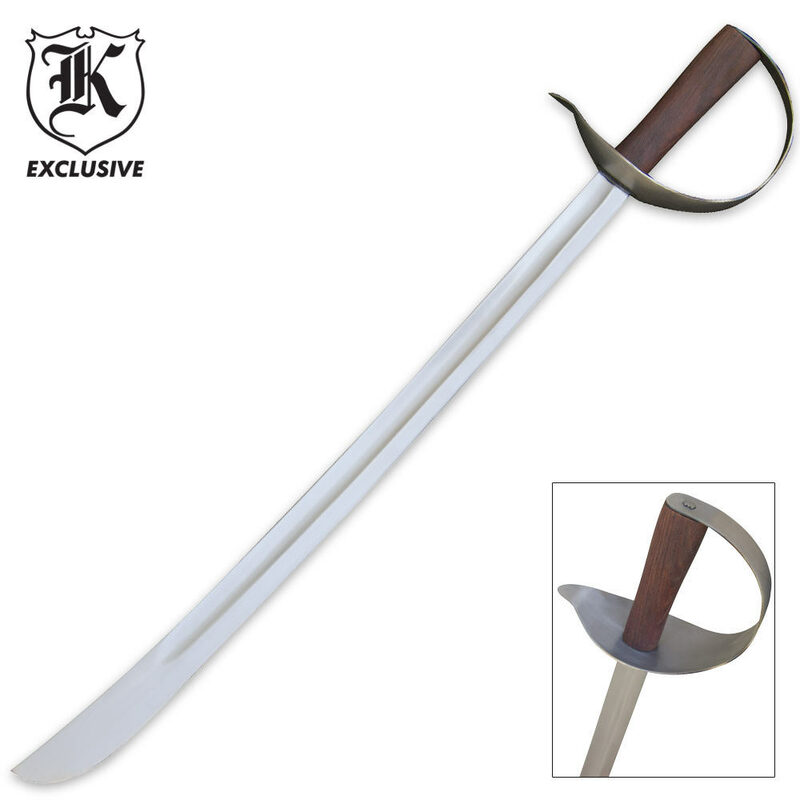 This 33" sword features a 27 1/2" stainless steel blade that is an astonishing 1/8" thick and attached to an aged hardwood handle. A stainless steel hand guard protects your hands while in battle and ensures the sword doesn&apos;t slip from your grip. I had a pirate themed party and the sword broke on the piÃ±ata! It's a piece of junk.